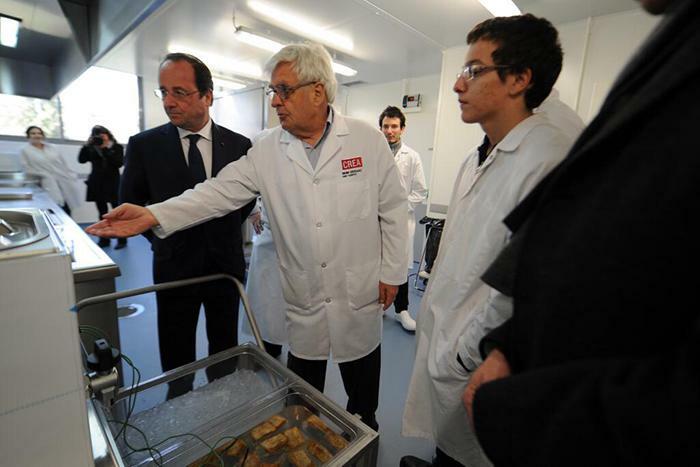 On Sunday March 23rd, out Chief Scientist Bruno Goussault and the President of France, Francois Hollande met at ChezPeyro in Tulle, France to discuss the advantages of the sous-vide technique. The President and Dr. Goussault even had a chance to discuss politics. Click here to check out the friendly exchange!